Brookgreen Gardens, Huntington Beach State Park and Hobcaw Barony are amongst the major Pawleys Island attractions. Pawleys Island itself is accessible via two causeways from the mainland. It is primarily a residential area but has multiple public beach access points. Little more than one house wide at it’s narrowest point, it is surrounded by the Atlantic ocean on one side and the inland salt marshes on the other. As a place to relax and enjoy nature it has few peers. 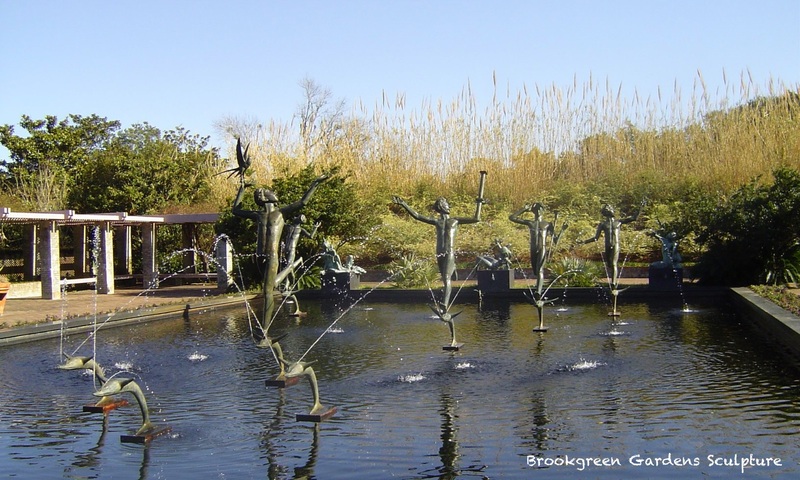 Ranked one of the major gardens in the South East, Brookgreen Gardens is probably the biggest Pawleys Island attractions. The formal gardens, featuring a large collection of American sculpture form the main part of the attraction but there are also several wildlife exhibits, boat trips and regular events which make the 7 day ticket great value. See our page on Brookgreen Gardens for more information. Just across the Highway from Brookgreen Gardens is Huntington Beach State Park. 9000 acres of beautiful beach, nature trails, salt-marshes and plenty of wildlife including gators. To find out about all that Huntington Beach State Park has to offer please visit the official site. The main attraction at Huntington Beach is Atalaya, the home of Archer and Anna Huntington. The name, Atalaya, and the Mediterranean coastal Moorish style of the building was thanks to Archer, a Spanish historian. Meanwhile, Anna Huntington was a renowned sculptor and you can see many of her works at nearby Brookgreen Gardens. A 1600 acre nature reserve and research centre, preserving the natural history of this Coastal South Carolina region. Hobcaw Barony, as it is today, is the brainchild of Belle W. Baruch, daughter of Wall Street tycoon, Bernard M. Baruch. Set up as a nonprofit foundation on her death in 1964. Hobcaw Barony is situated at the southern end of the Pawleys Island area, overlooking Winyah Bay, with Georgetown beyond. There is a welcome centre where you can view a number of exhibits but we thoroughly recommend the bus tour of the property. Places are very limited so you need to book in advance. Contact the official Hobcaw Barony site for more information. Just a few minutes drive north of Pawleys Island is Murrells Inlet, the ‘Seafood Capital of South Carolina’. Breathtaking views, bustling nightlife and wealth of quality restaurants and bars make Murrells Inlet a popular spot for visitors staying in both the Pawleys Island and Myrtle Beach areas. See our page on Murrells Inlet for more information. Just to the south of Pawleys Island sits Georgetown. A city rich in Colonial history. Drive through the quiet streets bordering the waterfront Main Street and you will see evidence of Colonial architecture. On Main street you will find several reminders of the past including the Rice Museum and Kaminski House Museum. Just South of Georgetown off Highway 17 you will find two historic homes which you can visit. Hampton Plantation and Hopsewee Plantation. To find out more about the Georgetown area please see the official visitors site. Largely unspoilt by commercialism, Pawleys Island nevertheless provides plenty of opportunities to shop for gifts and local made products. Small, quaint shopping areas such as the Hammock Shops and Island Shops are a far cry from the super malls of Myrtle Beach to the north. Restaurants and cafés offer quality local Low Country Cuisine as well as traditional American fare. Seafood lovers are well catered for but there is plenty of variety to suit all tastes. 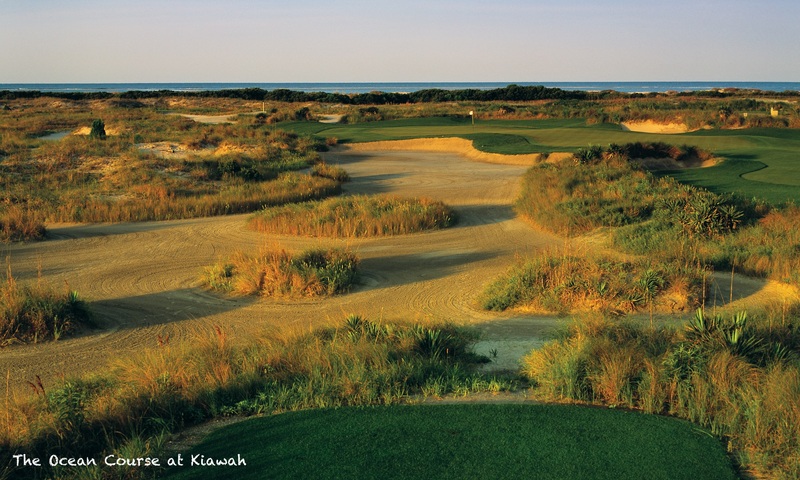 Pawleys Island boasts one of the best collections of golf courses in South Carolina. Caledonia Golf & Fish Club and True Blue Golf Plantation are both Nationally recognised and have won numerous awards, while the Jack Nicklaus designed Pawleys Plantation has long been a favourite of visiting golfers. In addition, Founders Club of Pawleys Island, Heritage Plantation, Litchfield Country Club, Tradition Club and River Club are all located within a few minutes of our featured Pawleys Island accommodation. Even if you are not a golfer, Caledonia and True Blue are popular places for lunch, whilst Litchfield Country Club do an excellent Sunday Brunch. For more on Pawleys Island attractions please visit the official Pawleys Island site.